Research and Development for new materials. Supporting future technologies for a modern world. DIMAP is a collaborative research project of 12 partner institutions from science and industry funded under the Horizon 2020 Framework Programme for Research and Innovation of the European Commission. With the development of novel ink materials for 3D multi-material printing new individual products will be possible. 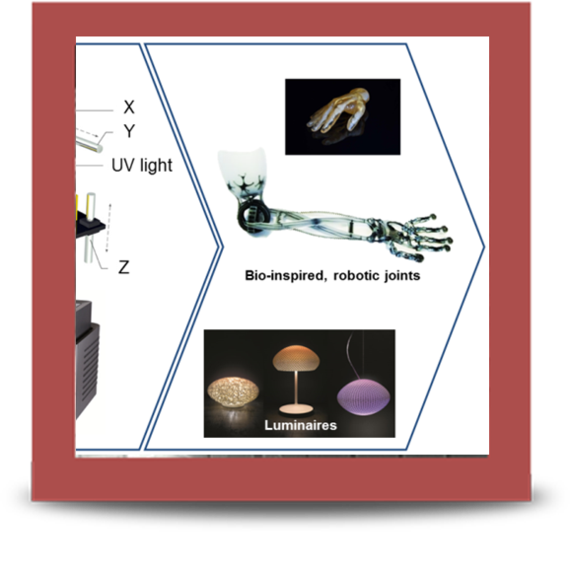 DIMAP focuses on two uses cases additive manufactured robotic joints and luminaires.